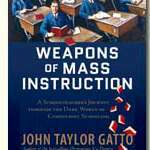 As we are starting our home schooling of Lola, we have been oh-so-fortunate to be introduced to the writings of John Taylor Gatto. Although we have long distrusted and were clear about our intent NOT to send Lola to any kind of public school (no, we’re not religious nuts, we are free-thinkers…), neither I nor Sunna were so thoroughly informed as to the depth and unabashedly demeaning intent of public schooling. The whole story of how the US ended up with the school system we have, its REAL intent and the way it is designed to LITERALLY DUMB US DOWN for control is ***shocking***. Here is John Taylor Gatto in a short segment of an interview giving you an idea of the intent and design of our system. Mr Gatto, although an articulate writer, is a simple speaker – after all, he was 30 years a teacher and you can see it in his demeanor. The information he is dispensing is indispensable! We encourage those of you so inclined to seek out his writings and essays. You can start here at Mr. Gatto’s website. 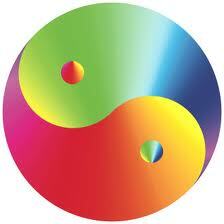 Having a child is – if one takes it seriously on all levels – simply revelatory. One’s choices for oneself are one category of decision making, but the choices you make for your child, well, that’s a whole different ballgame. In raising a child to the point of its own ability to choose, you are, quite plainly, making daily God-like choices for that infinitely-impressionable creature that will undoubtedly impact them their entire life. It’s not so much the heavy “responsibility” that weighs on your soul, but rather a more hopeful wish – the wish that your child will essentially “stand on your shoulders”, seeing more, learning more and achieving a more spiritually evolved state than you had the opportunity to in this life.